While I didn’t think of it as an e-commerce company at the time, I was buying books in real life and selling them on Half.com – something I’ve wanted to get back into for the last year. 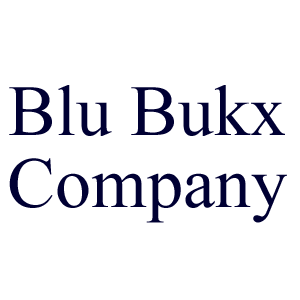 This is a story of my first e-commerce company, Blu Bukx. Like a lot of companies, this one started as a result of what my friend, Jason, was doing. He had visited a local library with his new wife and discovered they were selling off their old books by the bag. He looked up how much he could sell them online and quickly discovered he could turn a profit. He already had an eye for this type of thing as he was already actively selling antiques on eBay for his dad, a retired antique dealer. For those following along, this is the same dad that allowed Jason and I to have a booth in a closet in his antique store (hence the name Closet Collectibles Company). Not one to let this newly found arbitrage go unexploited, I soon found myself visiting every library in town, buying up as many books as I could find and posting them to Half.com. I found that children’s books and non-fiction books sold the best and although I was selling at least one book a day, the books were piling up in my bedroom. I was still in college at the time and during this process had just recently met the woman who would later become my wife and had recently just started working at a bank doing items processing. I would go to class in the morning, come home in the afternoon, package up books to ship, then take them to the post office on the way to work. It was a big process to enter in the ISBN codes for every book purchased into Half.com. My future wife would stay up late at night in her dorm room to help me out. I remember one time she entered in hundreds of books on the site and I did something to delete all of her work. I think she cried. As part of the process you would have to price your book. Half.com would let you see what other people were selling it at and you could price it accordingly. One book stuck out. It was a book about the mafia’s role in the oil business and someone had it posted for $150. My soon to be wife thought it would be a “great deal” at $120 off. It sold. She told people about that book sale for years. She was so happy. When the libraries ran out of books to sell I had to find another source to keep up my inventory. That’s when I discovered the clearance section at the local Barnes and Noble, Borders, and Half Price Books stores. I could buy a book there that nobody locally wanted to buy for say $3 and sell it online for $15. This was in 2001 when a lot of local booksellers hadn’t really caught on to the whole Internet thing. It wasn’t that there weren’t any websites selling books online: at the time, Amazon.com was still the biggest (and I even experimented with selling some of my books through them as a reseller), but there was also efollet.com and textbooks.com, which is part of one of the funnest nights of my life. The fall semester was about to begin and as was the tradition, Jason and I would walk around campus figuring out where all of our classes were before the first day of school. The campus was mostly empty at this point, but all of the building doors were open. One of the buildings we went into had a large dumpster in the hallway where professors had been dumping old papers and whatever else they didn’t want. As book resellers there was one thing Jason and I both noticed right away: a trunk-load of textbooks. They were the kind of books that textbook publishers would send professors to get them to buy their books, but if the teacher didn’t want to use them, they were of no value to them. We loaded all of the books into Jason’s car and drove them back to his house. After getting them all inside his office we began systematically looking them up on efollet.com and the total value quickly got into the hundreds of dollars. Needless to say we were getting giddy, but the real fun started when we “got serious” and started to cross-reference the different textbook buying sites on a per-ISBN basis to create the highest payout possible. Now that was fun. We ended up splitting the money which I no doubt put into food, rent, my computer payment, or more books. 2001 was the year I moved to Muncie, Indiana, changed colleges, worked four different jobs, dated two different girls, got engaged to one of them, bought my first cell phone, my first apartment, started my first ecommerce business, and watched our country go through September 11th. I was mowing that morning as there was a period of time when I would mow in the mornings, go to school in the middle of the day, and then go to work at the bank in the evening. The first thing I heard when I got back into the truck and turned on the radio was, “It’s an act of war!” My first thought was, “What was?” As I listened to the radio my first inclination was to call Jason and ask him what was going on. He filled me in and said he was recording the news in case I missed any of it. My next call was to my soon-to-be wife. I told her I loved her then called my parents and did the same. It was a weird year and one with a lot of changes, but things didn’t stop changing. They keep changing every year. Eventually local book sellers did catch on to the whole “Internet thing” and started competing against me directly. The market inefficiencies were gone and it became increasingly harder and harder for me to turn a profit as my margins continued to shrink. I tried to sell the business and it’s inventory to my mom, but she didn’t want to do the work involved. I had got laid off from my bank job in Muncie and got transferred to the same job in Indianapolis. I was engaged, but was now living back at home with my parents. I ended up picking out some books to keep for any future kids I might have, giving away some to friends and family members, and taking the rest to Half Price Books to sell. I still have two of the book shelves (I made one), but the others got sold to a guy at the bank I worked with. My kids do read some of the books I kept from Blu Bukx company, but mostly they just sit there. Although I walk by these books every day I almost forgot that I even had this company. Looking back I can see how much time it took (for both me and my wife) and how much it influenced a small part of my life. The one thing I find odd is that because of the way Yahoo! stores it’s mail and because of me switching computers over time I have no digital record of this company ever existing. I can’t find anything in any of my emails, on my hard drive, or on the Internet (via Google search). If I didn’t write this post, no one would have ever known it ever existed. And that would have been okay. I just wanted to write this for my own sake as it touched on a lot of different parts of my life that helped shape where I am today. Maybe I’ll start up another e-commerce company again – and maybe my wife will help me input product descriptions and pack up orders – and maybe we’ll be happy.